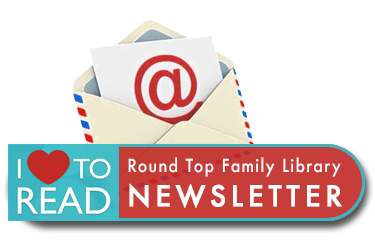 ROUND TOP, Texas – The Round Top Family Library can replace its aging heating and air conditioning system, thanks to help from a $13,154 community development grant from the Lower Colorado River Authority and Bluebonnet Electric Cooperative. 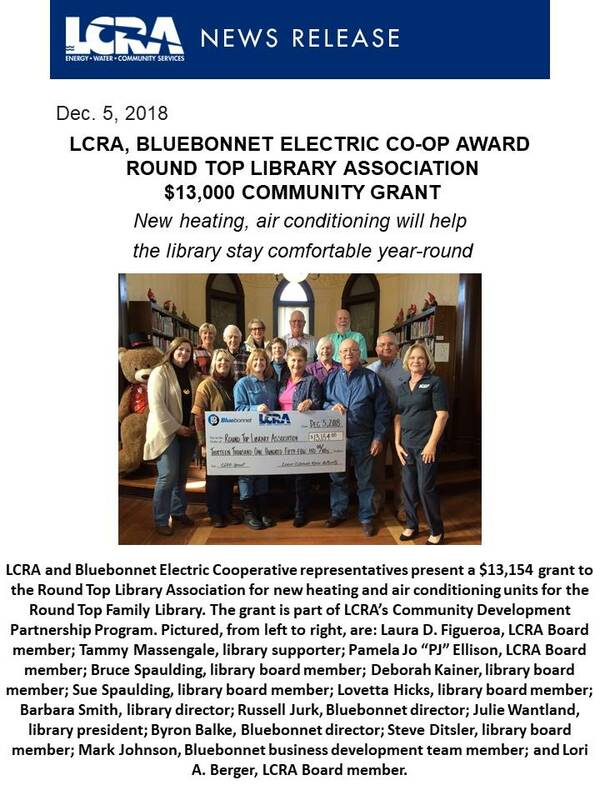 The Round Top Library Association is contributing $4,500 in matching funds to help purchase new Energy Star certified heat and air conditioning units. 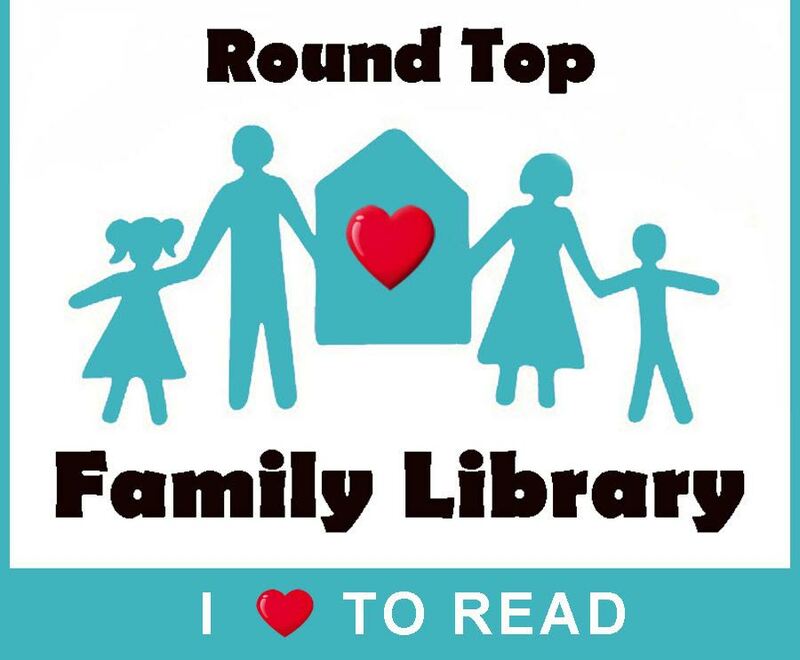 “The air conditioning units are just in dire need of replacement,’’ said Barbara Smith, executive director of the Round Top Family Library. “They’re limping along.” She said she has been told the units won’t survive another Texas summer. The existing equipment was installed almost 20 years ago, when the historic building was converted from a Gothic-style church to a library and community-gathering center for the small, rural cities of Round Top, Carmine, Burton, Fayetteville and surrounding areas. The library provides a place for patrons, families and visitors to gather in a unique setting. Attendance at the library spikes in the summer, when school is out and antique season is in full swing, which brings in tourists and visitors seeking Wi-Fi and reading material. On days when the air conditioning can’t keep the building cool, library programs sometimes have to be canceled or moved to a nearby church so visitors can get a respite from the heat. “We’re so appreciative of this grant,” Smith said. “We’re a fortunate little nonprofit library working together as a team. It will mean a whole lot of happy children, and happy program participants, patrons and visitors. We feel much joy in serving others in various ways. It will be good for everyone.” The new energy-efficient units also will save the library money on its utility bill, so more can be spent on learning and enrichment programs for the community. 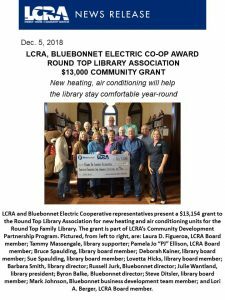 The community grant is one of a number of grants recently awarded through LCRA’s Community Development Partnership Program. The program provides economic development and community assistance grants to cities, counties, volunteer fire departments, regional development councils and other nonprofit organizations in LCRA’s wholesale electric and water service areas. The program is part of LCRA’s effort to give back to the communities it serves. 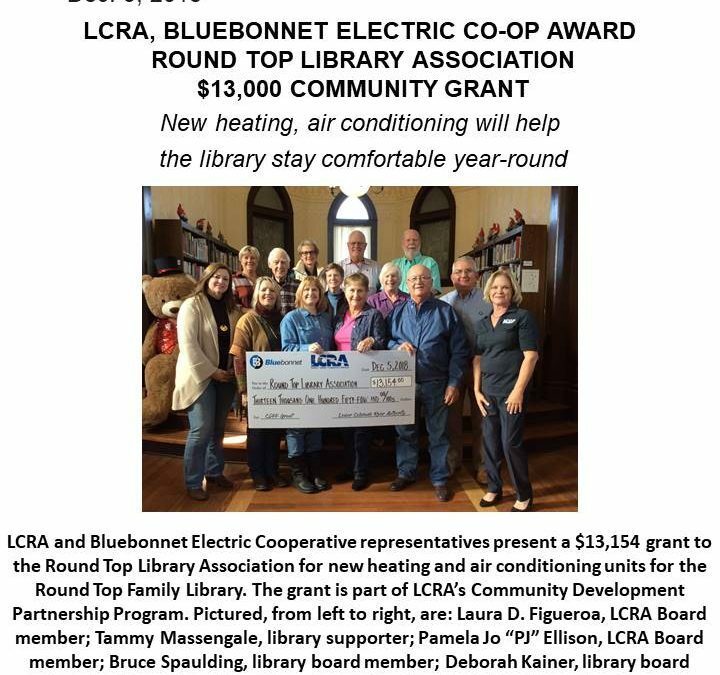 Bluebonnet is one of LCRA’s wholesale electric customers and a partner in the grant program. For more information, visit LCRA website lcra.org and Bluebonnet Electric Cooperative, go to bluebonnet.coop.